To roof or not to roof – that is the question! Many home inspections in Loudoun are coming up with the same thing lately – roof needs to be replaced. It makes sense as our communities age, there are maintenance items that need to be addressed. But how do you know when it’s time to replace the roof – aside from a home inspector telling you so? When is it time to replace a roof? While repairing a roof is often a solution for homeowners, there comes a time when repairs are not enough, will not last, or simply too costly to be worth investing in any longer. Replacing a home’s roof adds structural stability and creates peace of mind. Consider these instances when it is time to replace a worn roof. An old roof is no longer efficient and, even if it is not leaking right now, it has a high-risk level of developing leaks. Asphalt roofs have a lifespan of about 20 to 25 years. A roof over than this is more likely to be in need of repair. If a roof was purchased under 20 years ago, but it was simply layered onto an existing roof, it may still be at a high risk of developing leaks as well. Proper ventilation and routine maintenance also factor into the lifespan of the roof. If you’re planning to sell your home, a new roof can make a huge difference to buyers whereas a roof near the end of its lifespan may cause them concern. Contrary to the shows on TV, there aren’t very many buyers looking to snag fixer-uppers with big issues like these. Roofs with significant leaks, especially in instances in which the leak has made it into the attic space, are likely to need structural repairs. Homeowners can enter the attic area during the daytime and look for areas of sunlight peeking into the space. This is an indication of significant damage not just to the roofing shingles but also to the underlayment and roofing structure. The valleys, or portions of the roof that come together in a "V" shape, tend to take a lot of wear and tear over the years. This is often where the problems develop. Look for signs of missing or deteriorating shingles in this area. 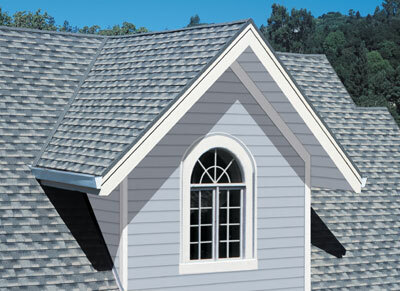 Valleys are a critical component of the roof as it moves rain away from the roof and down into the gutters. A problem here causes this to stop working properly, allowing water to pool. This leads to leaks as well. Shingles are the top layer of protection. They take the most abuse from the elements. When they begin to deteriorate, they expose the roof structure to moisture and damage. This is evident in a number of ways. First, many homeowners will notice granules of material in the gutters. This is the outer covering of the shingle, and one of the most important signs of a need to replace the roof. Missing shingles also happen. When these layers are missing, it provides a direct path to damage to the structure. Discoloration of the roofing shingles is also an indication of concern. It shows normal wear and tear and the development of mold and mildew. This weakens the structure and causes a higher risk of leaks. Cleaning this off is not easy to do and often can further damage the roof. The flashing is the metal components located around structures on the roof, such as the chimney. Flashing needs to lay securely in place and flat. Damage to it creates an opportunity for water to seep in. A water-tight seal becomes essential here. In each of these cases, it probably best to replace the roof instead of repairing it. Most often, repairs can shore up immediate concerns but do not last. Instead, replacing the roof can provide an opportunity to strengthen the structural stability of the home while also ensuring no risk of moisture damage in the interior. Before you make the big decision, however, get a few professional opinions, as well as the opinion of your real estate agent if you’re looking to sell. Armed with knowledge, you can make the best decision for your personal situation. Thank you to Preston Guyton for contributing to this post!